Do you ever find inspiration in totally weird places? I was talking to my friend Jenn Coker the other day and inspiration hit. Jenn owns a store called Torendi. And I had some UN-INKED stamps from the store! Crazy, so I figured I should use them. It's not like Jenn told me to use them, talking to her just reminded me that I should use them. Ok, so I made a bright cheery card because quite frankly I am done with winter. :) I need some sunshine! Not that I want it to be summer here, just spring. I'm not ready for the 100 degree weather yet. My card uses Bam Pop Cloudies stamps. I love me some Bam Pop! It makes me happy. The rainbow is from Sassafrass Snack Attack Felties. The paper is DCWV Citrus Stack, the ribbon is American Crafts, and the letter stickers are from My Little Shoebox. On an unrelated note, I have a BIG ANNOUNCEMENT coming this week! Stay tuned!!! 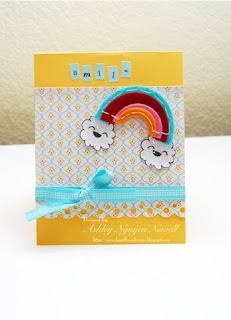 Adorable card...love that rainbow and cute little clouds! Another big announcement?! Can't wait to hear what it is! This is cute card and just love the bright and cheery sunshine. 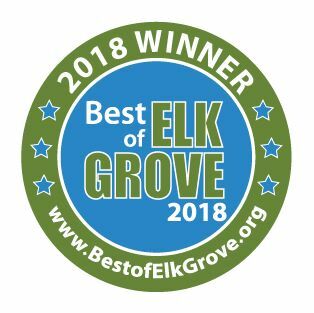 More news? Can't wait to hear the announcement!! BIG ANNOUNCEMENT? Oh I want to know ;) And I love love love this super fun card! Love this, Ash! I have a ton of Bam Pop paper and have yet to use it. Maybe I should pull it out, huh?!? I LURVE that card...it is so cheerful! !I need to get over to Torendi! this card is adorable!!!!! Cant wait to hear the news! I love this! VERY bright and cheery! I need to dig into my Torendi kit and play!